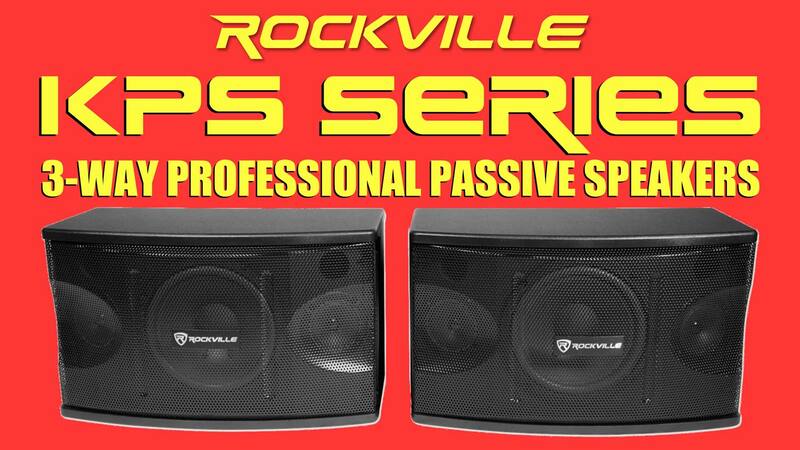 (1) Pair of Rockville KPS10 10" 3-Way 1200 Watt Karaoke Speakers+Wall Brackets / MDF! 3-Way Speaker With Built-In 3-Way Crossover For Amazing Sound! Rockville Speaker Cables are engineered for maximum signal transfer with minimum impedance loss. The cable strands are all fine-strand, oxygen-free copper with aluminum composite construction and provide a high-fidelity speaker connection. Woven down to a flat shape, the cables can be easily routed throughout the bulkhead with ease. These wires meet the high-powered demands of amplifiers and speakers. Installation in the tightest of corners are easily conquered, thanks to our Super-Flex insulation. 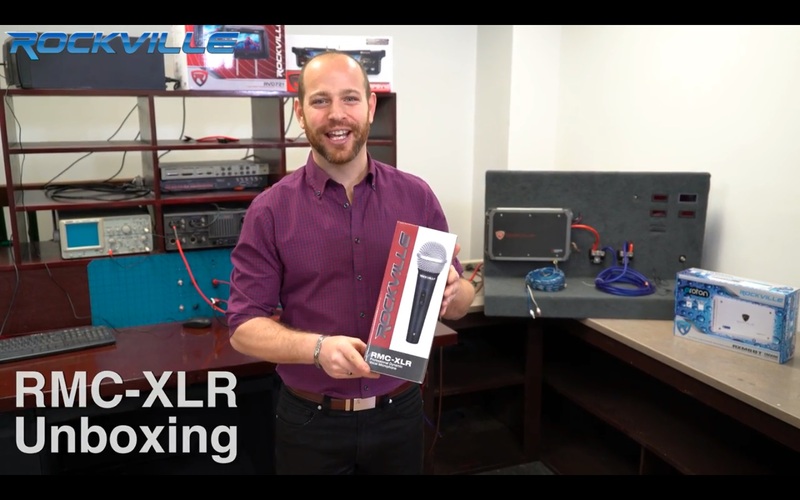 The Rockville RMC-XLR is the same exact microphone we use in our Pro Mic Kit 1 microphone/stand bundle. This mic was created because we saw a need in the market for a high quality microphone at an affordable price. We found there were a lot of good mics around from reputable brands that sound great, but are very expensive. When we looked at the cheaper mics on the market from both reputable and entry level brands; we were not impressed at all. As a result we sent our very own product developers on a mic testing journey. A lot of our employees here at Rockville love to do karaoke, so it was not long before we found a mic that we all loved. You may be asking yourselves, so what makes this mic sound so good? There are 3 main components that make a mic sound the way it does. The cartridge, the magnet, and the mic cable. Our mic uses an M-56 cartridge which has a neodymium magnet. This combination of components supplies better sensitivity; which means your mouth will not have to be on the mic for it to pick up the sound. Our components supply more than a great pickup pattern. They have very little background noise, and great tone. We pay a lot of attention to detail. We could have saved a lot of money and got our cost down by including a cheap cable, but we know how important the cable is. We are very passionate about our products and we really have a lot of respect for our customers. For this reason alone we included 100 % OFC copper cables. There is no aluminum in this cable! It is Pure oxygen free copper. What this means is that the cable will last longer and will sound a lot better. You will get a distortion free signal. We use a true gauge mic cable with proper thickness. 90 Day Money Back Guarantee including return shipping! If within the first 90 days you are not 100 % satisfied for any reason, contact us and we will send you a return label and give you all your money back! (Item must be returned complete with all accessories and the original box please). 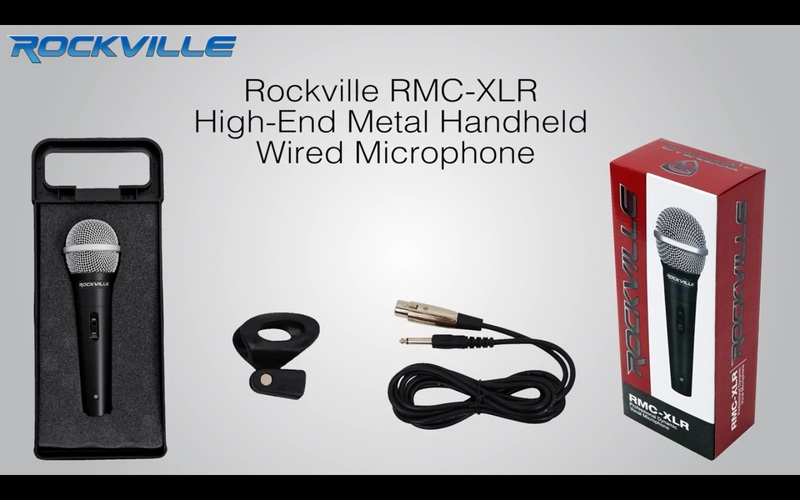 Rockville RMC-XLR High-End Metal Handheld Wired Microphone Mic Amazing Sound! This heavy-duty universal stand can be used as a Speaker Stand or a Lighting Stand! It's sturdy steel construction and custom carrying case add to the quality and support this stand gives. The sturdy and expandable long tripod legs ensure that your speakers will be stable in any environment. The Rockville brand stands for Quality, Innovation and Value. All Rockville products go through the most rigorous quality control standards in the industry. Products go through months of extensive testing before they reach your hands. All user functions are tested and all internal components are tested for quality.Rockville makes products that are virtually un-breakable! Rockville is one of the only brands in its class to test every concept model for weeks or months before starting production. Once production begins, Rockville sends product engineers to their factory to quality control every line of production. During production every product is tested and on top of that Rockville goes the extra mile and has their high level product engineers do an additional quality control. They test a certain percentage of all products from the production line a second time to ensure that the quality meets their vigorous standards, and to make sure that there is never a batch of products with even a slight problem. 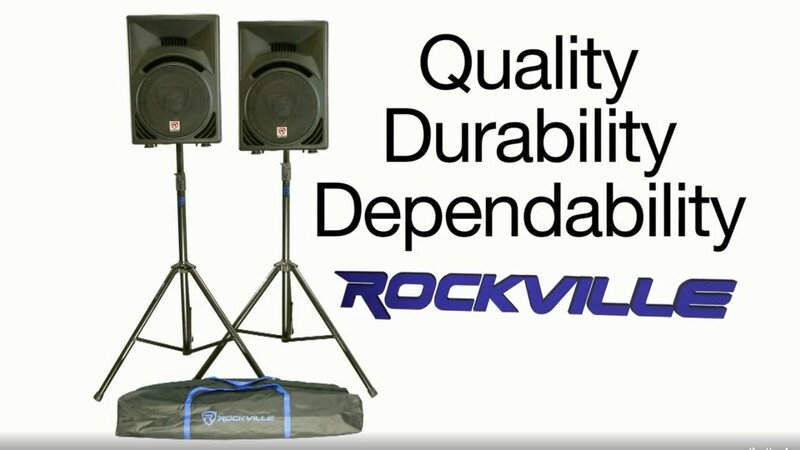 All Rockville products are backed with a full 1 year warranty, though it is unlikely that you will need to use the warranty. Great features and great quality make Rockville a great choice.